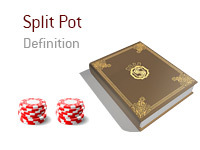 What does the term "split pot" mean as it applies to the game of poker? What is meant by the term "split pot"? In poker, a "split pot" occurs when two or more players end up sharing a pot. Let's look at a few examples of when a "split pot" would occur. A player in early position raises. 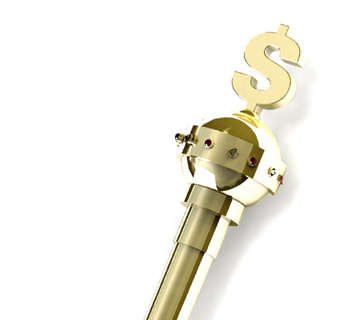 Action folds around to you on the button. You re-raise. The SB and BB fold, and the player in early position shoves. You quickly call, and you both turn over pocket Aces. The board runs out Kc-Kh-3h-7c-8s. You both have Aces and Kings, so you split the pot. You are playing a heads-up cash game match. With the board reading Kh-Kc-Ks-Qc-Qh, you and your opponent both check. You turn over a pair of Twos, while your opponent shows 8d-9d. Neither you nor your opponent are able to beat the board, so you split the pot.